The best mixed drinks in the universe. Gin, lemon, lavender-earl grey simple syrup. Served in a martini glass with a raw sugar and rose petal rim. Spiced rum, ginger and green tea-jasmine syrups, lime juice, absinthe rinse. Served in a coupe and garnished with candied ginger and lime. 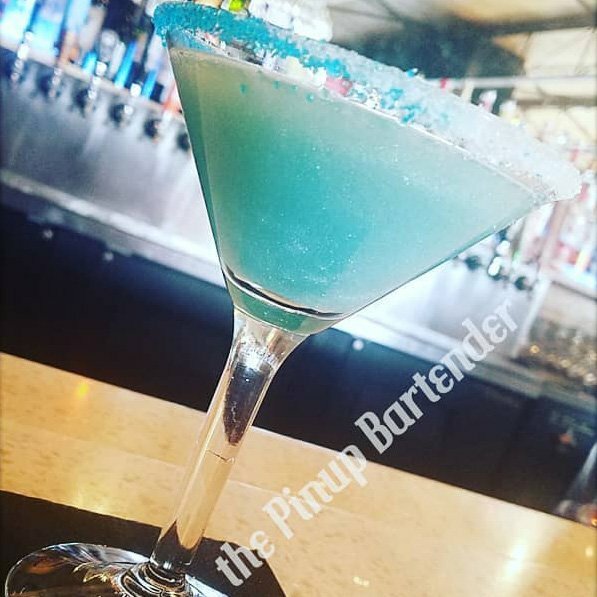 Citrus vodka, triple sec, lemon juice, blue curacao, edible glitter, served up with a sugar rim. 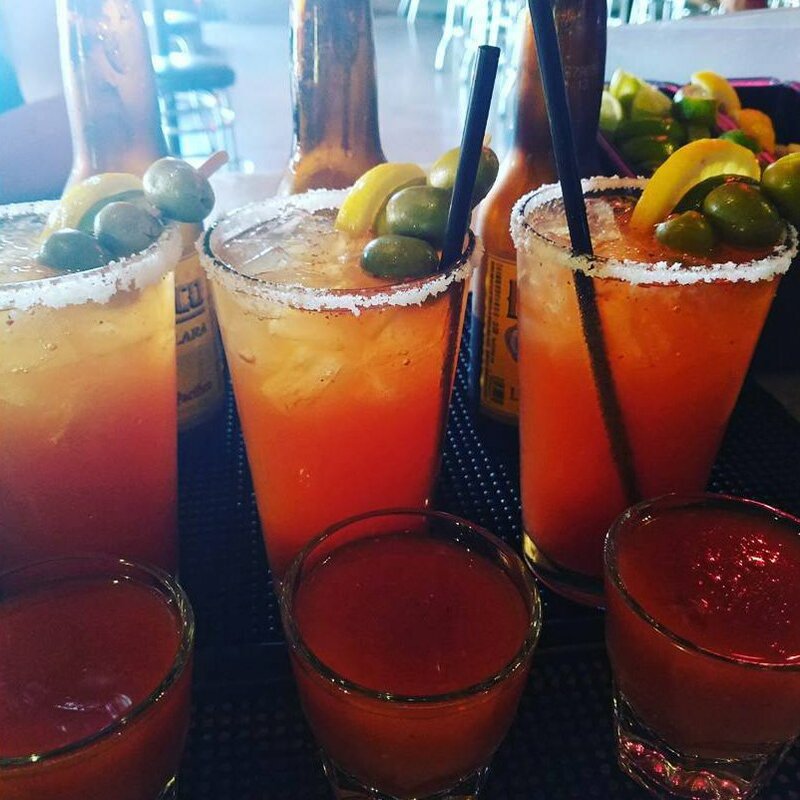 Fresh squeezed lemon juice, fresh squeezed lime juice, worcestershire sauce, hot sauce, house made spice blend, clamato and/or tomato juice. Vodka, Malibu, Midori, fresh squeezed lime juice, pineapple juice, coco lopez and popping boba. 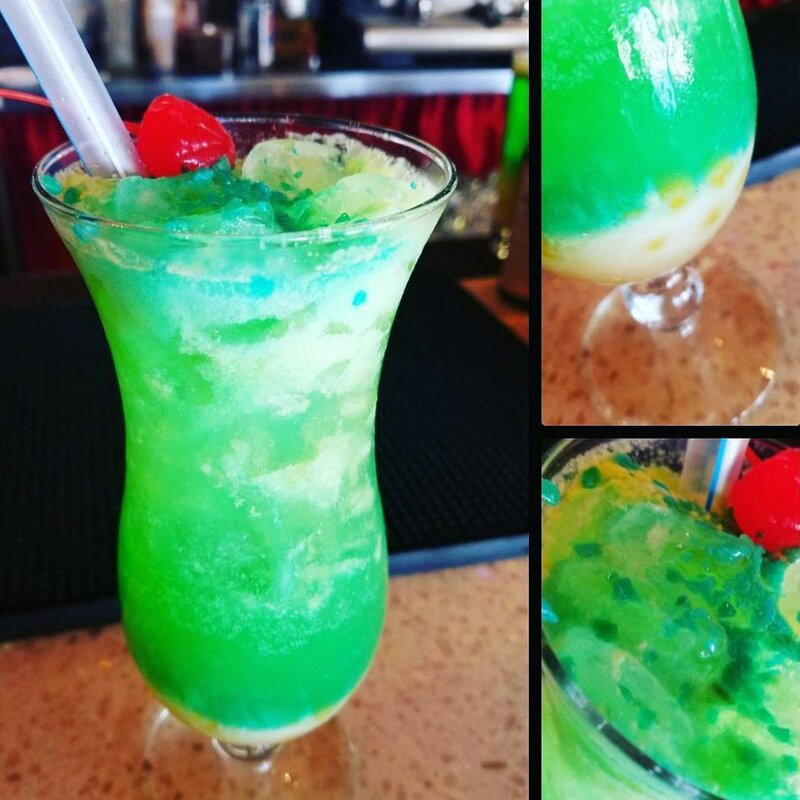 Served in a Hurricane glass and garnished with pop rocks. 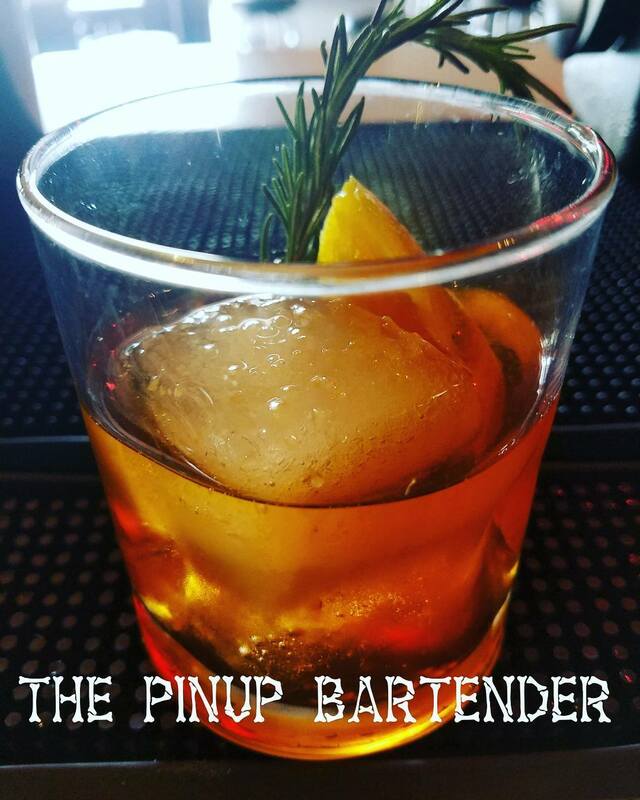 A smokey twist on an old fashioned with whiskey, lapsang souchong simple syrup and angostura bitters. Garnished with sage and flamed orange zest. Tequila, Ancho Reyes red chili liqueur, lime juice, cola. Served on the rocks and garnished with cherry and lime. Tequila, creme de violette, lemon, maraschino liqueur, absinthe rinse. Served up with a lemon twist. Vodka, muddled mint, ginger syrup, lemon. Served up with mint and candied ginger. Tequila, muddled strawberries and jalapeno, triple sec, fresh lime juice, and topped with champagne. Rimmed with tajin and garnished with strawberry. Whiskey, peach schapps, lemon, demerera syrup, rosewater and topped with champagne. Served on the rocks with a lemon twist. 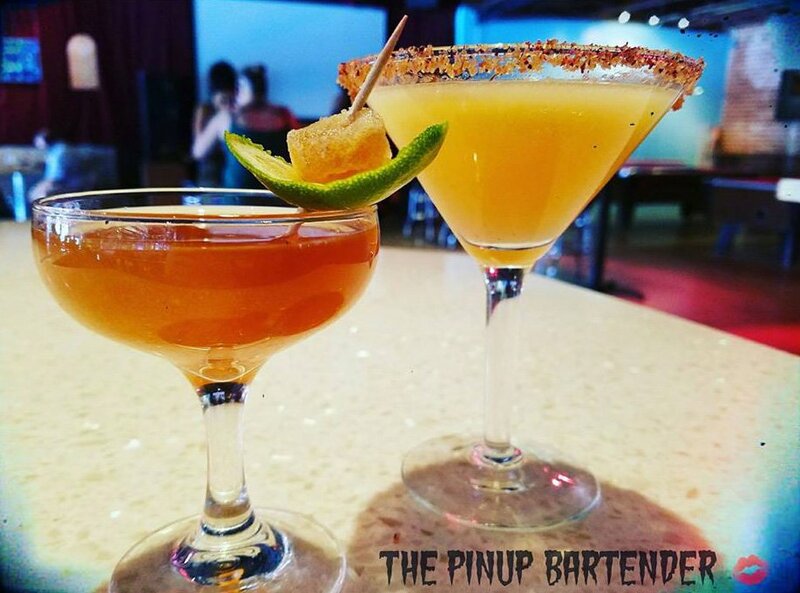 Pusser’s Rum, pineapple juice, orange juice and coco lopez. Served on the rocks with a dash of nutmeg and an orange garnish. House made ginger syrup, fresh squeezed lemon juice, soda water, angostura bitters. Vanilla Syrup, splash half & half, soda water, whipped cream. Additional flavors may be substituted. Fresh brewed iced tea, fresh squeezed lemon juice, simple syrup. Orange juice, sierra mist, prickly pear syrup. Also order from Brooklyn Pizza Company and enjoy the best pizza in Tucson out on the patio or in watching a game! 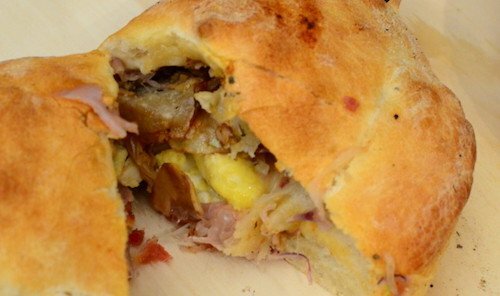 Start your day with our hearty egg, cheese & potato calzone (or add sausage and bacon…mmmm, bacon…) available at 9am daily!